I am LOVING the embroidery trend. Embroidery, especially floral, is back in style and it's a fun little detail to add to your wardrobe. 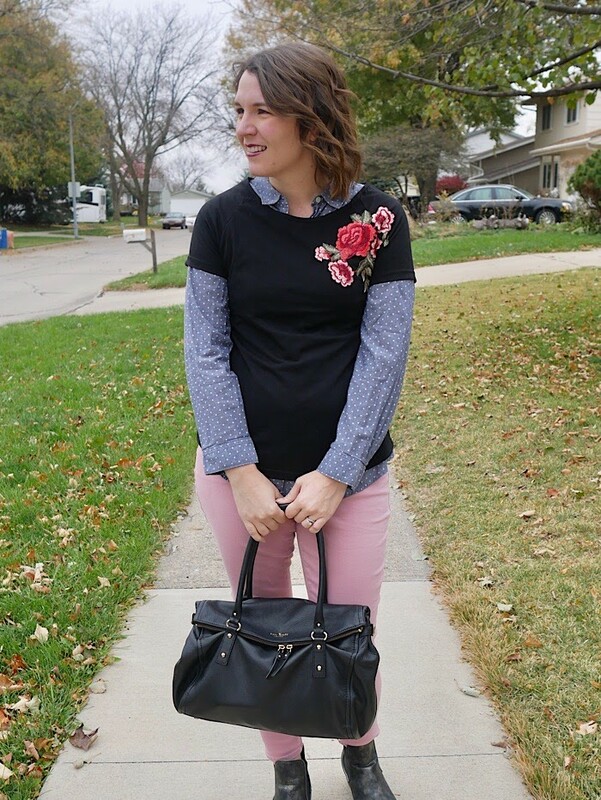 Today I'm sharing an easy way I transitioned this short sleeve embroidered top to be fall-wearable. 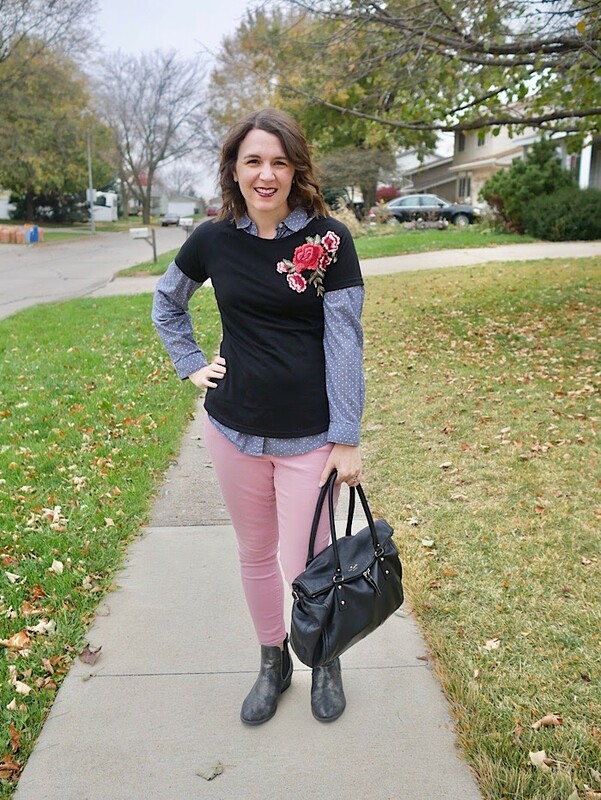 I love this embroidered tee, but I realized, if I wanted to wear it in the cooler weather, I was going to have to be creative. Layering a jacket or cardigan over it would hide the beautiful detail, which is really the star of the top, so instead, I decided to layer a chambray top under to add warmth. 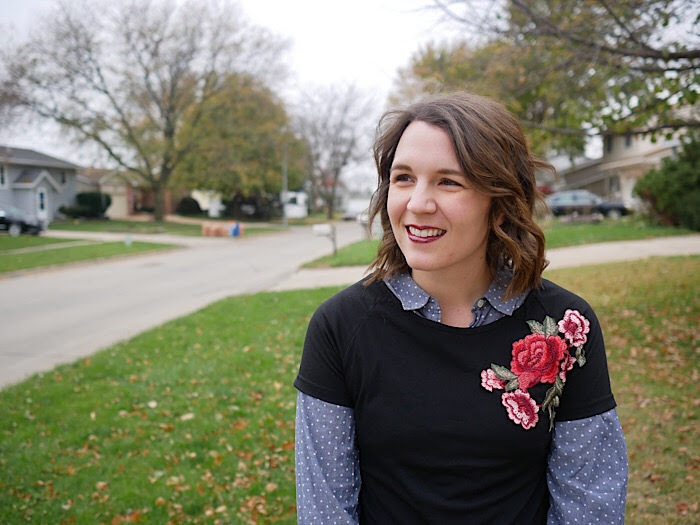 This polka dot chambray is a thrifted piece and it's one that I come back to a lot because of the fun polka dot factor. 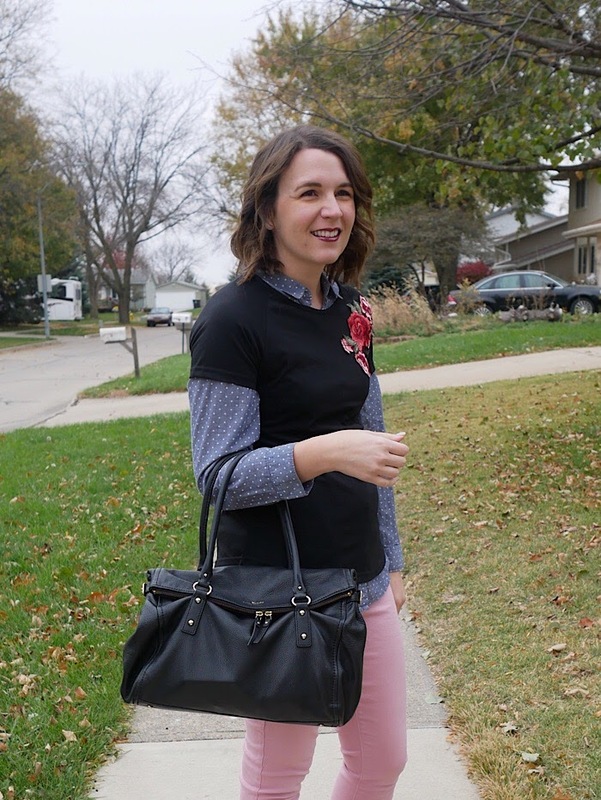 Polka dots are such a classic print and they add some interest to this outfit. 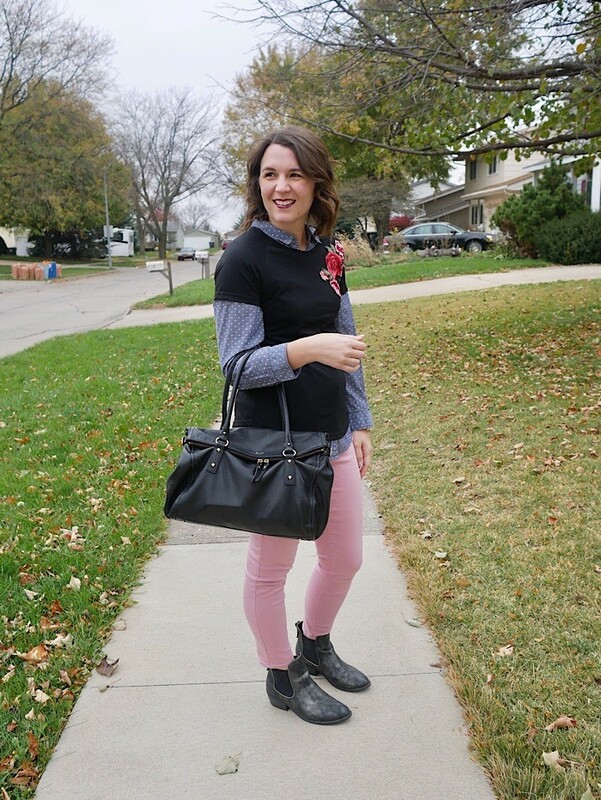 The blush skinnies are my go-to. The color is pretty much perfect for all seasons and they can be worn so many ways. I added black booties and a black bag, and this outfit was set. I didn't do any accessories because I feel like the outfit had enough going on as it was. This outfit would be great for work, church, or a casual event! Have you added any embroidered pieces to your wardrobe yet? If not, this top, this sweatshirt, or this dress would be fun!